Constant progression on ‘Lighting Africa’ , an initiative of (IFC & World Bank), is further fuelling the growth of lighting products market in the region of East Africa. Driven by factors such as a growing subscriber base for smart phones and increasing consumers spending on television services is what the growth of the LED and OLED display market in Africa is depending on.The OLED and LED display markets in East Africa are consuming less energy than traditional bulbs and CFLs. 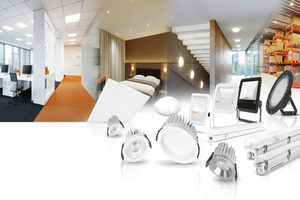 LED lighting products offer extended lifespan of around 50,000 hours of brightness – and work effectively. While With regard to parameters such as longer lifespan, energy efficiency, enhanced environmental friendliness, better durability, lower heat, and smaller size LED lighting products compete with traditional products. On the basis of displays and lighting products this is how the African LED and OLED products market is categorized. On the basis of displays, the market is further sub segmented as mobile displays, consumer TV displays and outdoor LED displays. The Africa market is segmented as product type and applications, on the basis of lighting products. LED bulbs, bare LED tubes, LED fixtures and solar LED lighting this is categorized as product type, Street lighting, down lighting, garden lighting, ceiling lighting, decorative and portable lighting, and others this category is known as applications. One of today's most energy-efficient and rapidly-developing lighting technologies is The Light-Emitting Diode (LED).along with lower cost of ownership compared to conventional lighting technologies LEDs are smaller and have a comparatively long operating life. These lighting products are becoming the economic choice in both indoor and outdoor applications as their prices are reducing continuously. LED displays are they that are used outdoors, in store signs, and billboards due to their high brightness characteristics.LED displays offer general illumination and are also used for stage lighting and other decorative purposes, Along with visual displays. Driven by factors such as growing subscriber base for smart phones and increasing consumer spending on television services marks the growth of the LED and OLED displays market in Africa. Introduction of off-grid solar powered television for rural areas of the African region are propelling growth of this market .Among the countries in the African region,Tanzania is the largest market for LED and OLED displays and lighting products and accounted for the largest market share in 2018.This growth is primarily due to the development of telecommunications, infrastructure, and increasing internet governance, which in turn is driving the smart phones penetration in the country. Additionally, in Tanzania, rapid growth of new broadcasting technologies and increasing TV broadcasters and channel offerings are expected to be the other potential drivers for growth of the LED and OLED display market. the top-class vendors identified across the value chain of the global LED lighting market include Eagle Lighting, LED Lighting SA, Luceco Ltd, Barco, N.V,LG Display Co Ltd, Eaton Corporation,Daktronics Inc,Light AG,OSRAM,Sharp Corporation,LLC,GE Lighting, Samsung Electronics Limited, and Cree Corporation.New companies from consumer electronics as well as from semiconductor segments are entering into the LED lighting market has recently been noticed, this demonstrates nothing other than higher opportunity for component manufacturers as well as service providers to enhance their activities in the areas of LED lighting.